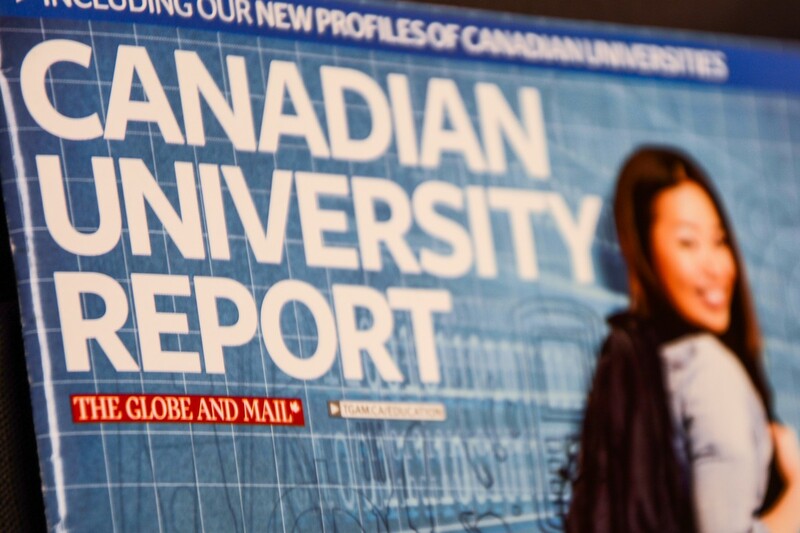 The Globe and Mail’s Canadian University Report was released on Oct. 22, but some don’t necessarily think it does TRU justice. 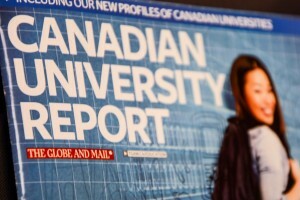 A profile of TRU was featured in The Globe and Mail‘s Canadian University Report released Oct. 22. But the report wasn’t necessarily a good thing for the school. The profiles are informed by the National Survey for Student Engagement (NSSE), which TRU was last a part of in 2011. The report of the survey results suggested that students at TRU complained most over few internships and co-op opportunities, and rated their education less favourably than the average. The report categorizes TRU as specializing in applied or vocational learning and undergraduate education, and notes that the school has performed higher than average in some sections of the NSSE and that it caters to non-traditional students. The Globe named TRU the “accessible education pioneer” and emphasized TRU as an open learning university. Associate VP academic Katherine Sutherland was “extremely proud” to see TRU highlighted as accessible, but doubts the report does the value of accessibility any justice. Sutherland said TRU’s value for accessibility allows students to enter university even without a high school diploma, and can also see them go on to apply for law school. The interdisciplinary studies program, which is highlighted in the profile and Sutherland helped draft, allows student to transfer credits from trades or vocational studies into academic programs. The value of such programs isn’t well-represented in the profile, she said. “It’s easy to teach social justice. It’s a completely different thing to live social justice every day, and by opening our doors whether [students] are privileged or not, we practice social justice,” Sutherland said. The profile states limited course offerings as a con, particularly in the arts faculty, but TRU’s interim dean of arts doesn’t agree. Vermeulen said she thinks TRU does very well at what it does offer, and is very responsive to demand for changes. She also said TRU is a very comprehensive university and couldn’t recall why it would be referred to as having program gaps. Sutherland said that the report seems to be Ontario-centric and favours the G15 universities, which she said are concerned with hierarchy and cater to high-achieving privileged students. Sutherland also noted that TRU students are just as successful after coming in with lower credentials. While the profile names a pro for TRU as being near holiday destination Shuswap Lake, Sutherland suggests a better pro would be the opportunities TRU provides for its students. Sutherland said she thinks students are “unfortunately” reading these reports, but suggested that alumni would be better sources for learning what TRU has to offer. Vermeulen said she thinks students are getting their information from social media outlets rather than reports like the one from The Globe.